Thinly slice peppers and onion. Heat 2 tbsp of the olive oil in a frying-pan and cook the peppers for 5 minutes, until softened. Remove from the pan with a slotted spoon. Add the onion and garlic and cook for 5 minutes to soften. Remove from the pan. Add remaining olive oil to the pan and heat. Cut chicken into 205 cm/1 in pieces and add to pan. Cook for 5 minutes, until browned. Gradually stir in the flour and cook for 2 minutes. Add the herbs and stock. Bring to the boil. 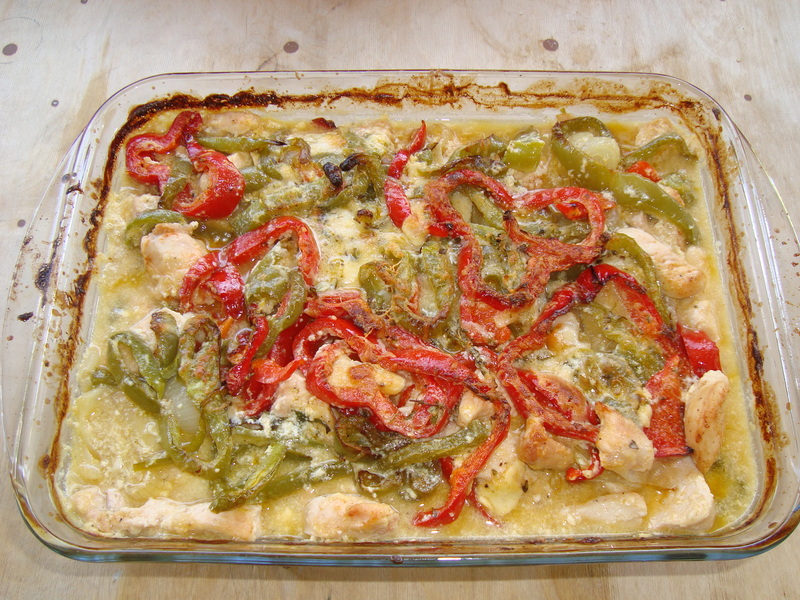 Arrange a layer of peppers and onions in the bottom of a large ovenproof dish.Top with the chicken and peppers. Stir the cream, lemon zest, egg yolks, salt, pepper and nutmeg together in a bowl and pour over the meat. Sprinkle with the cheese. Bake in the oven for 35 mins. 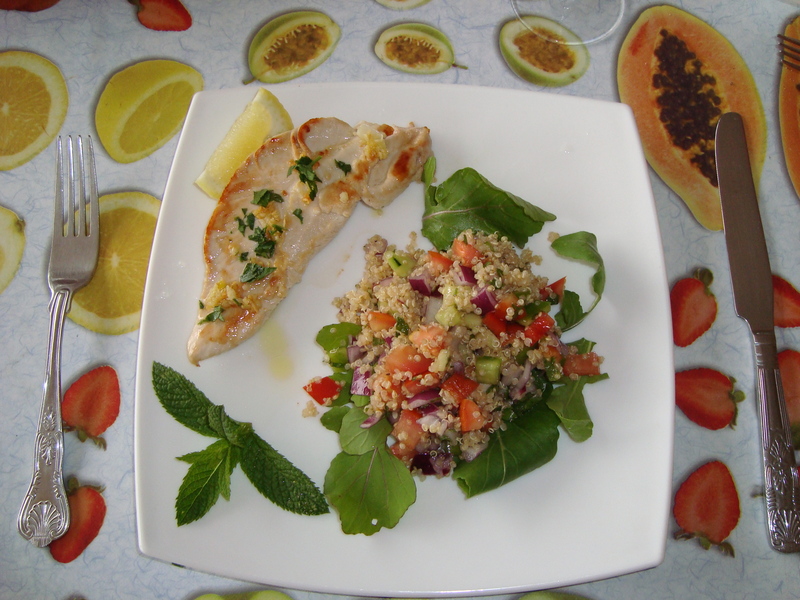 Remove from the heat and serve with mix salad, rice or mashed potatoes. Remove all the bones with a pliers or tweezers. 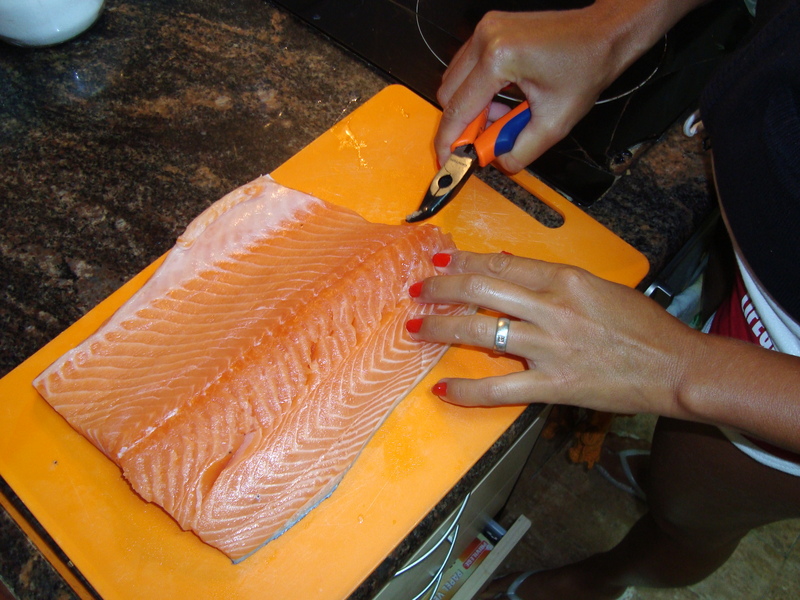 Cut the salmon in half lengthways. In a small bowl mix together the sugar, salt and black pepper. Rub the mixture over the fish. 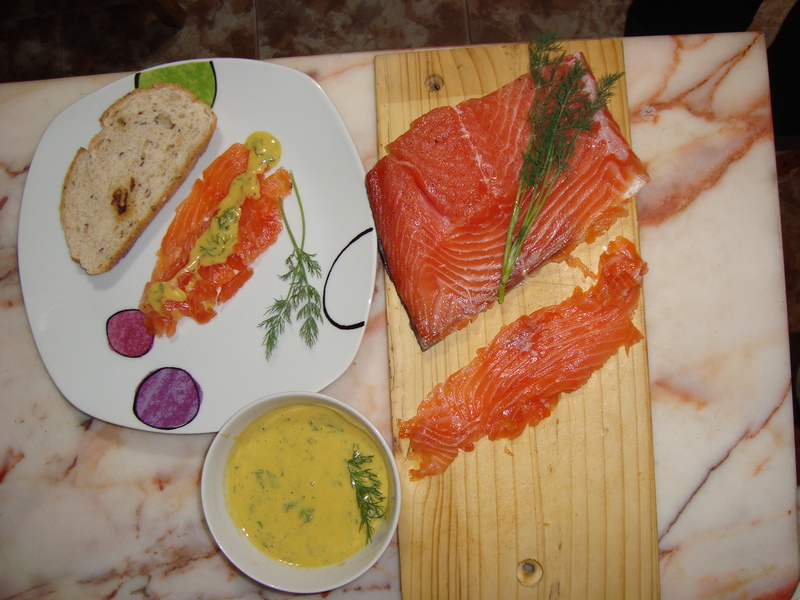 Place a layer of dill in the bottom of a dish and lay half the salmon, skin side down, on the dill. 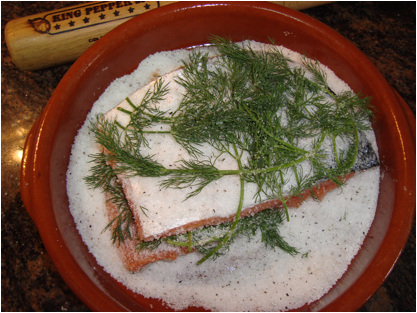 Cover with more dill and lay the other half the salmon on it skin side up. 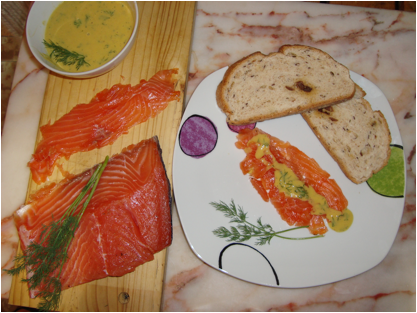 Coat with the rest of the dill and any of the remaining sugar mixture. 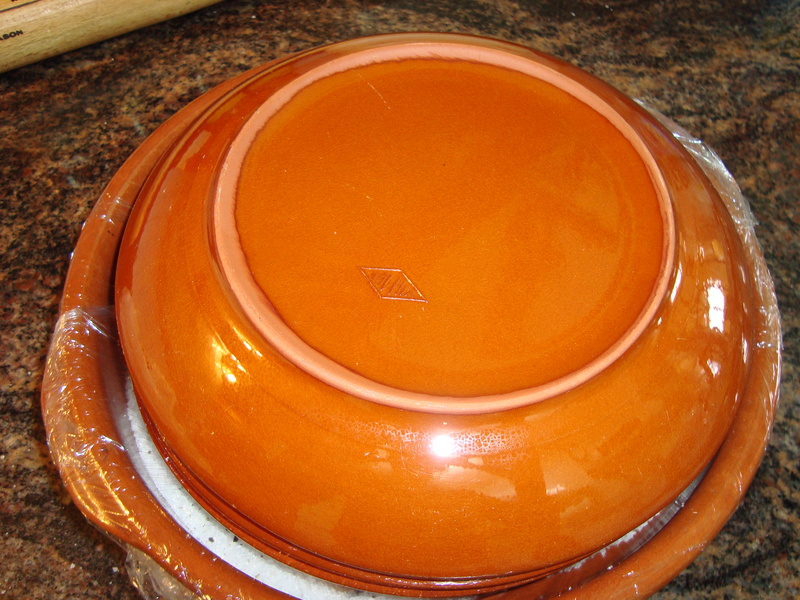 Cover the dish with cling film and a weighted plate. Leave in the fridge for 3 days (36 hours). 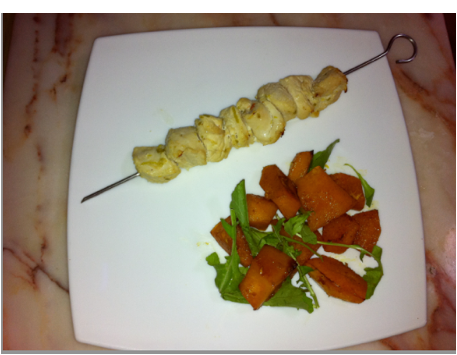 Make the sauce by putting all the ingredients except the oil and dill in a bowl and beating with a whisk. Slowly beat in the oil and then add chopped dill. Scrape the marinade off salmon. Slice the fresh away from the skin, across the grain, and serve with the sauce and a nice bread. 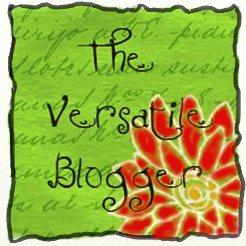 é uma erva aromática muito utilizado na culinária asiática e também para fazer curry, tem uma leve fragância de limão, caso no encontre, substituir por 1 ou 2 ramas de alecrim, ou tomilho. 2 colheres de café de 5-spice powder (é uma mistura de 5 condimentos muito utilizado em pratos chineses, os condimentos são: pimenta negra em grão, anis estrelado, semente de erva doce, canela em pó e cravo tudo bem moído), caso não encontre os condimentos, substitua por pimenta em grão moída, pimenta calabresa ou pimenta cayenne e sal. 1- Bater no liquidificador o gengibre ralado, pimenta vermelha, lemongrass(capim-cidreira) ou alecrim, 1 colher de óleo, suco e casca do limão ralado. 2- Colocar esta mistura sobre o peito de frango em cubos e reservar na geladeira por no mínimo duas horas. 4- Colocar numa assadeira a moranga em cubos e misturar o condimento 5-spice powder chinesa ou a pimenta em grão moída, a pimenta calabresa ou cayenne e sal com um pouco de azeite de oliva. 5- Assar em forno a temperatura média de 20 a 30 mins, mexendo de vez em quando. 6- Repartir o frango em 4 espetinhos pincelar com óleo e assar de 25 a 30 mins. 7- Colocar um espetinho em casa prato com a moranga e as folhas de rúcula. 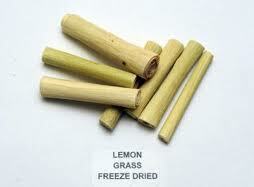 Lemongrass (capim-cidreira), na medicina popular, suas folhas utilizadas em infusão, tem propriedades anti-depressivas, calmantes, analgésica, digestiva entre outras. P.s. se utilizar espetinho de metal passar óleo antes de colocar o frango para que não grude no espeto. Caso utilize espetos de madeira, deixar de molho em água por no mínimo 10 mins para que não se queimem no forno.